It doesn't always follow that a producer's surroundings influence their music, but you can certainly hear more than a little of the laidback, sun-soaked haziness of Baja, California, in the work of producer Fabricio "4004" Tepetitlan. 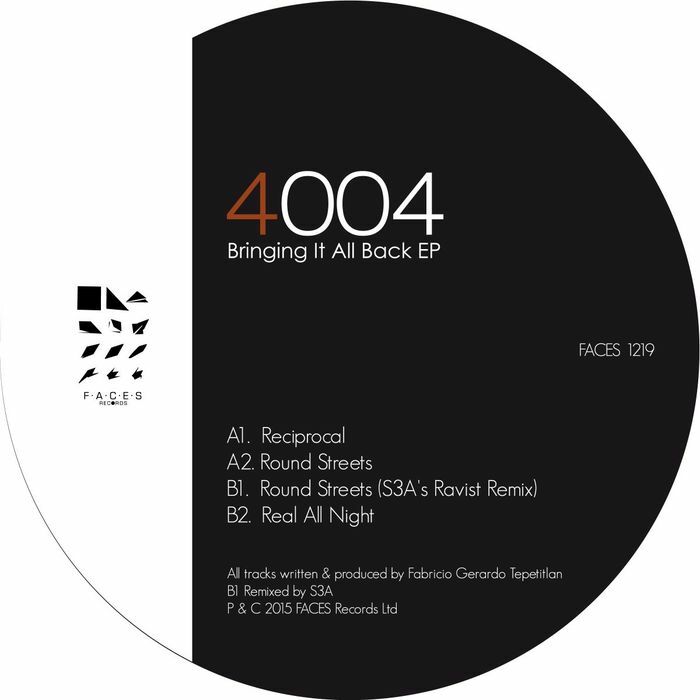 It was there on his 2014 debut for Quintessentials (Looking At You, alongside pal Sebastian Vorhaus), and comes to the fore again on this solo outing for France's Faces imprint. There's a genuine jazzy looseness and Rhodes-driven warmth to opener "Reciprocal", while "Round Streets" mixes a subdued soulfulness with bouncy percussion, chunky bass and tasty deep house melodies (check, too, S3A's breezy piano house-meets-rave remix of the same track).